Matt Kennedy has played with the Leamington Rugby Club’s B team for several years, pictured here during a home game in 2015. The Leamington Rugby Sports Club is putting on a special fundraiser for one of their players who was involved in a near-fatal traffic collision towards the end of last year. Matt Kennedy, or “Freshy” to his rugby mates, was left in a critical condition after a head on crash on SH1 in Tamahere in late November. He’s spent the last seven weeks at the ABI Rehabilitation centre in Auckland making slow but significant progress. After over a hundred days of recovery he can now sit up by himself and take a few steps, as well as say a few things to his friends and family. “It’s going to be a slow recovery, but he is making progress,” his dad Andy said, adding that the family were “blown away” by the club’s charity event. 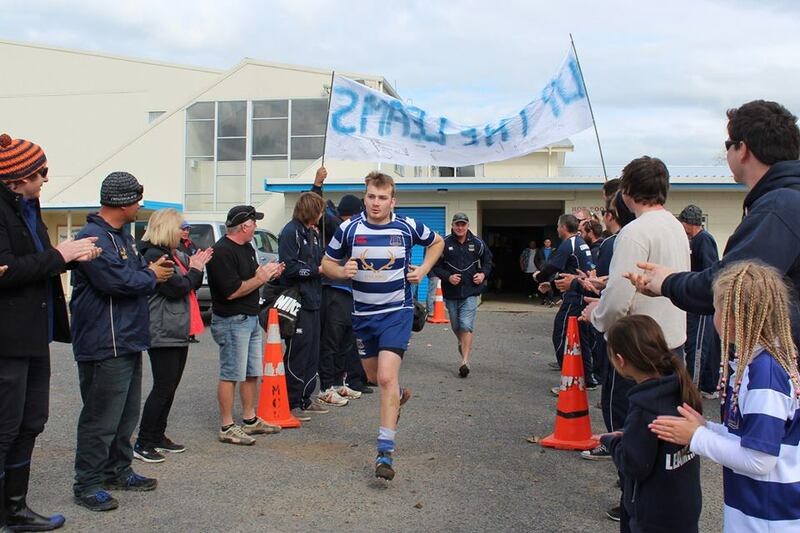 The “Freshy Day” fundraiser on April 6 at the Leamington Rugby Sports Club on Carlyle Street will coincide with Leamington’s home rugby games – the club’s A and B teams going up against Pirongia’s A and B teams. Kicking off from 12.30pm with gold coin entry, the event will include heaps of entertainment including kids activities and a dunk tank – with a special guest appearance planned for the dunk tank. A silent auction will feature a Collin Meads signed rugby ball, a Steve Hansen signed All Blacks shirt and a signed Chiefs jersey, just to name a few. Quickfire raffles will be on the go as well as other fun prizes. More information is available on the Leamington Rugby Sports Club Facebook page.